Gordon Stewart has compiled one of the most comprehensive databases of passenger excursion paddle steamers available. It is an excellent starting point for research into these vessels, past and present. It includes Gordon's extensive photograph collection and selected images from other contributors. 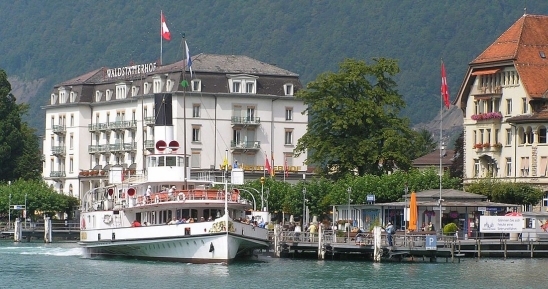 (Photo below, left : Paddle Steamer Schiller at Brunnen, Lake Lucerne, Switzerland in 2008).